Deleting an animal from the internal database allows to also automatically remove it from the external database. Add option to switch off the exclusive lock of the pattern database. 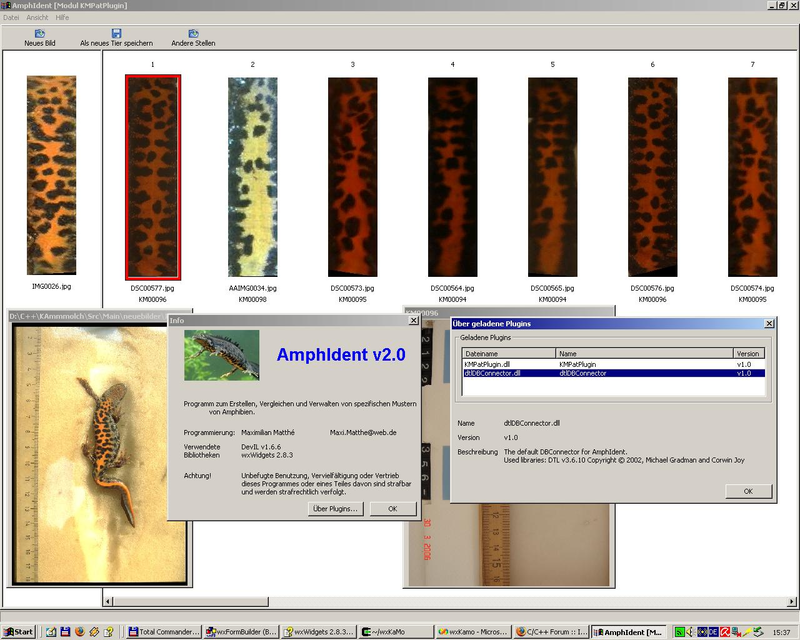 Fix a crash in image processing for newts, when the image had a non-suitable background. 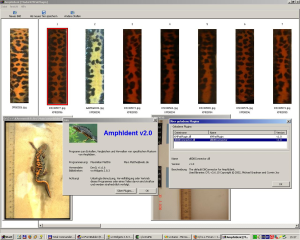 new plugin: AddLocation allows to store the time and place of the animal capture. This build adds a configuration wizard which offers quick and easy modification of AmphIdent config files. The configuration wizard can be started from C:/Program Files (x86)/AmphIdent/wizard.exe. Usage of the program is straight forward.